"The current status of NGS technologies, industries and future applications"
Tao Chen, CEO, Paragon Genomics, Inc.
本蔵 俊彦, CEO, QuantumBio, Inc.
"NGS application for the cancer research"
Andrew Hilmer, Account Manager, Strategic Business Development, Applied StemCell, Inc.
Biography： Akihiko (Aki) Uehara has recently joined DEFTA Partners, a life science/ healthcare VC firm, following a successful tenure as a regional Product Manager at Bio-Rad Laboratories in Japan where he launched and grew sales of genomics products including PCR, qPCR, and digital PCR. Prior to Bio-Rad, Aki was a consultant for Deloitte Tohmatsu Consulting where his responsibilities included advising high tech companies on market strategy planning in emerging markets such as India and Vietnam. 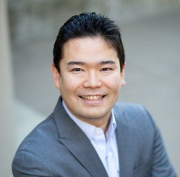 Aki received his Masters of Engineering in Chemistry and Biotechnology from University of Tokyo and his Masters of Business Administration from the Haas School of Business, UC Berkeley. Talk Summary: Next generation sequencing (NGS) has gained popularity and is now widely used for genome-wide sequencing due to its powerful data generation capability combined with cost attractiveness. NGS has shown promising potential for clinical applications, however it still faces many challenges. Mr. Chen will talk about potential applications for NGS and the challenges it faces given the current state of development of the technology. 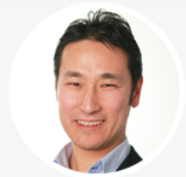 Tao Chen currently leads Paragon Genomics, which is engaged in developing and commercializing rapid, easy-to-use, ultra-high multiplex PCR-based target enrichment solutions for the NGS and precision medicine markets. 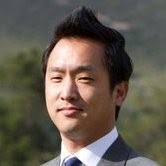 Tao Chen is CEO and Founder of Paragon Genomics. Paragon's proprietary CleanPlex™ multiplex PCR technology and custom panel design capability enable NGS customers to develop targeted sequencing assays that can be 5-10 times faster and more accurate than assays based on existing methods. Formerly Senior Product Manager of Thermo Fisher Scientific, and Business Development Manager, Life Technologies. MBA from Harvard University, BSc from Peking University. Biography： A co-founder of Quantum Biosystems Inc., Toshihiko represents the company as both president and CEO. After a genome research project at the University of Tokyo, he went on to gain ten years’ hands-on experience in business management and investment analysis as a manager at McKinsey & Company and the Innovation Network Corporation of Japan (INCJ), a public-private Japanese fund. 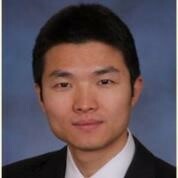 He has a master’s degree in Analytical Biochemistry from the University of Tokyo and an MBA from Columbia University. The scientific and business management acumen he brings to the team affords the company excellent and tested leadership. Talk Summary: Nowhere has the promise of precision medicine been more hopeful, than in our effort to understand and ultimately treat cancer. At a fundamental level, we have learned that cancer is a disease of the genome. NGS technology has enabled researchers to make massive strides in developing this understanding. In the last 3-5 years alone, a plethora of new NGS applications have emerged to shed light on cancer through liquid biopsies and immunology. To harness these findings into meaningful solutions for clinical cancer researchers, Asia Chang will share how Thermo Fisher Scientific is supporting the community with robust NGS oncology solutions. Biography： Asia Chang leads the oncology product management team in the Clinical Next-Generation Sequencing Division (CSD) at Thermo Fisher Scientific. The Oncology team develops clinical research solutions for cancer leveraging the Ion AmpliSeq™ Technology and Ion Torrent™ Sequencing platforms. He originally joined Thermo Fisher leading strategic development and business development activities within the division. Prior to joining Thermo Fisher Scientific, Asia was responsible for strategic engagements at L.E.K. Consulting’s life science practice in the U.S. and China markets serving global pharma, diagnostics, and medical device organizations. Asia began his career in R&D and Product Development at Johnson & Johnson designing minimally invasive medical devices. Talk Summary: Just over three years ago, the first groundbreaking reports were published that described the ability to utilize the CRISPR/Cas9 system for gene editing in mammalian cells. Since then, the field has advanced at an incredible pace, with the first clinical trials being approved by a biosafety and ethics panel in June for the utilization of CRISPR-based gene editing in treating human subjects. Despite these advances, CRISPR technology faces several technical hurdles, which will need to be overcome in order to facilitate widespread application of the technology in the treatment of genetic disorders. Dr. Hilmer will give an introduction to two gene editing technologies, CRISPR and TARGATT™, and discuss opportunities and challenges in the application of these technologies to preclinical discovery and gene therapy. 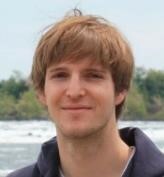 Biography：Andrew Hilmer works in Strategic Business Development at Applied StemCell, a leading stem cell and gene-editing company that focuses on the development of products and therapeutics that are enabled by its proprietary gene editing platforms, TARGATT™ and CRISPR/Cas9. Prior to joining Applied StemCell, Andrew was an NIH Postdoctoral Fellow at Stanford University, and he completing his Ph.D. training in Chemical Engineering at MIT.